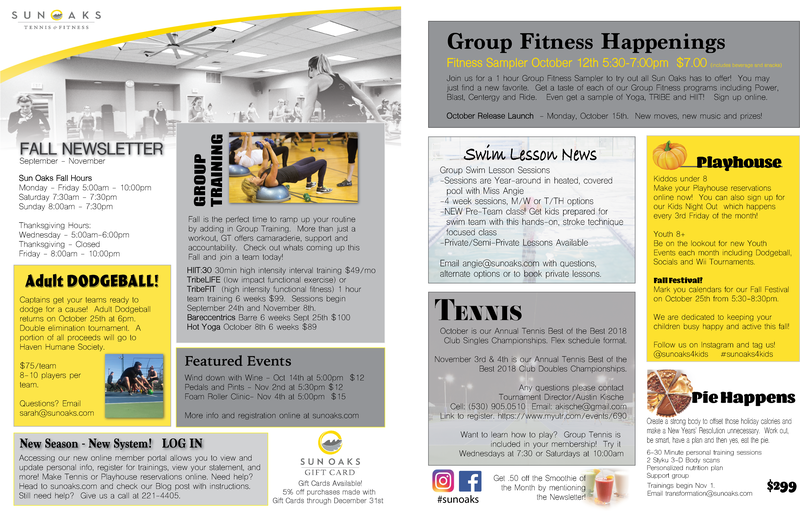 Welcome to the Sun Oaks Newsletter! Stay up to date on everything that is going on at the club. Be on the lookout for the Winter Newsletter in mid November. I would like to purchase a membership for my goddaughter and I in Dec when she turns 15 and can use the exercise equipment without my supervision. Do we have to be members to participate in the “sampler” event on Oct 12?
. Hope to see you Friday!